This is just a sample of the sweet little projects we will be making at this month’s stamp camp tomorrow night. It’s not too late to I have one spot left. Call or email me today to register. 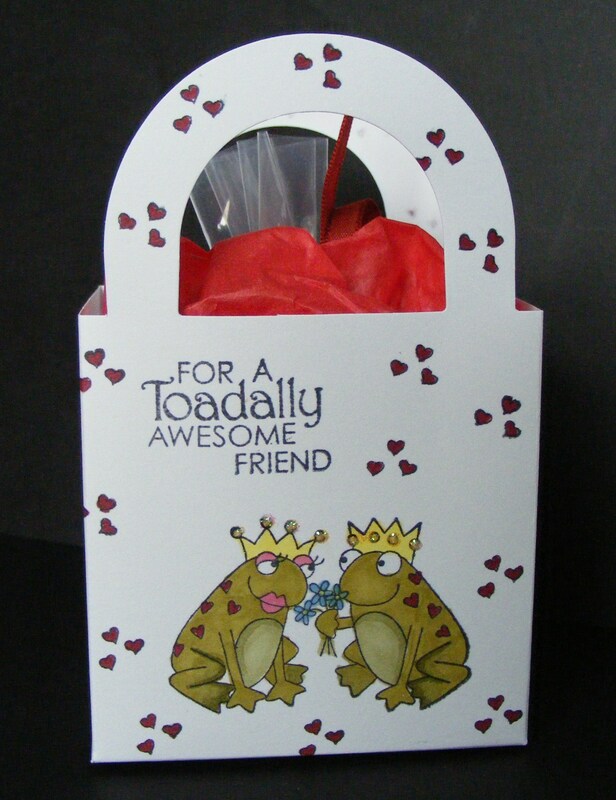 This entry was posted in Rubber Stamped Items, Treat Bags and Boxes and tagged Friendship, frog, Love, Toad, treat box, Valentine's Day. Bookmark the permalink.